Donna Jane Bell, 75, died Saturday, Jan 26th in Denver. She never met a stranger, all were friends. Born and raised in Syracuse, NY, she graduated Mercy School of Nursing and became an RN. 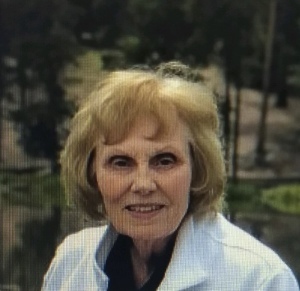 After marrying, Richard, her husband of 53 years, they moved to Idaho and raised three children in Montana, South Dakota, Wyoming and spent her last 40 years in her beloved Colorado, in both Bayfield and Commerce City. She leaves her husband, Richard Bell, their children Christine (Bell) McQueen and her husband Clint, Karen (Bell) Kesicki and her husband Kieth and Scott Bell and his wife Angie; her beloved five grandchildren Jacqueline and John McQueen, Katie, Maddie and Joe Bell as well as sister Carol and Janet and Brother Paul. Celebration of Life services will be held on Friday February 8th 2019. 11:00AM to 12:00PM at the United Methodist Church in Erie, CO. Address: 604 Holbrook St, Erie, Colorado 80516.